Pack a nutritious meal on-the-go in this officially licensed NFL "spark" lunch kit by The Northwest Company. Keep food hot or cold until lunch with this lunch kit. 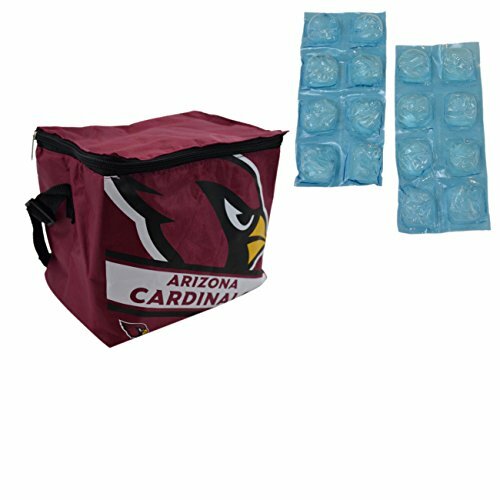 You need to stay hydrated to be the best fan you can be and this 6-pack Kooler bag will provide you with plenty of ice-cold refreshment! The fantastic printed team graphics on this cooler will shine brightly while you quench your thirst with the chilly beverages resting inside its insulated liner. 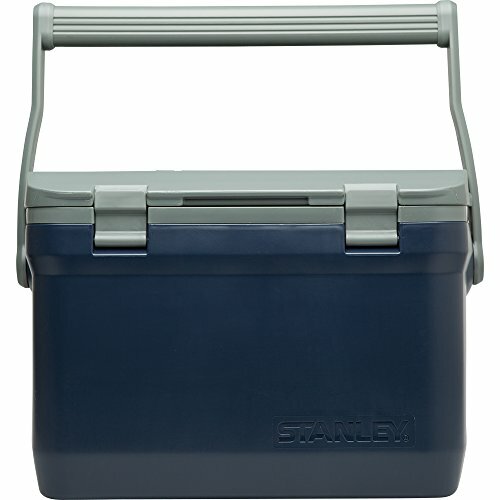 The sturdy handles on this cooler make it easy to transport to the next tailgate party. A GREAT Arizona Wildcats Gift Idea! This unique messenger style University of Arizona Lunch Bag features an adjustable shoulder strap. Wear over the shoulder or across body to keep your hands free! Under flap and rear slip pockets are included in this well made Arizona Wildcats lunch cooler bag. The roomy main compartment has an easy-access drawstring closure. 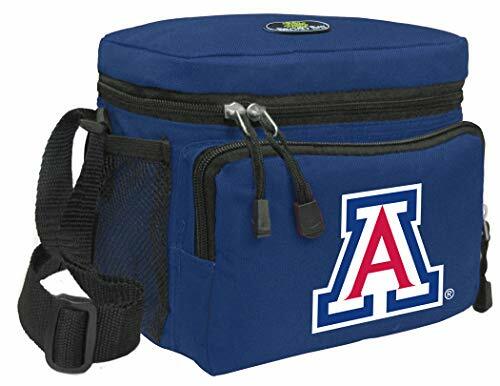 Dimensions: 8.75"h x 9.5"w x 5"d These are OFFICIAL NCAA University of Arizona Lunch Bags & University of Arizona Coolers - Up To 12% Is Returned to Support Arizona Wildcats Programs! 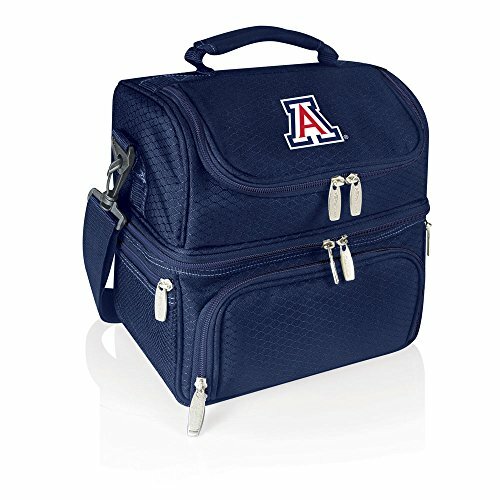 An Official NCAA Arizona Wildcats Lunch Bag Cooler Is A Unique University of Arizona Gift for a Man or a Woman! Our deluxe Arizona Wildcats lunch cooler is just the right size for lunch or travel. This well-insulated, soft-style University of Arizona lunch bag contains a roomy main compartment and a useful zippered front pocket for keys or accessories. Well-made with additional convenience features such as a double-zipper wrap-around closure, and an adjustable shoulder strap. This Arizona Wildcats lunch bag also works great as a University of Arizona cosmetic bag for her or a University of Arizona travel bag! 8.5 x 8 x 6.5 SIX PACK SIZED - Compact and well made! **Official University of Arizona Lunch Bags & Arizona Wildcats Lunch Boxes- Up to 12% Returned to Support Arizona Wildcats Programs! 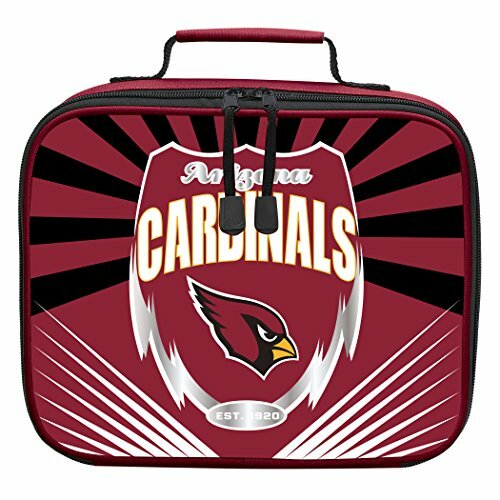 Broad Bay Arizona State Lunch Bag ASU Lunch Box - 2 Sections! The Broad Bay double decker Official ASU lunch box cooler bag is just the right size for lunch or travel. 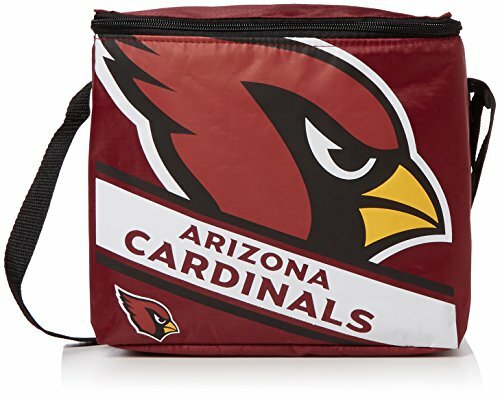 This well-insulated Official Arizona State Logo lunch bag contains 2 separate fully insulated and zippered main compartments and a zippered front pocket that's perfect for utensils, condiments, or lunch money. The lower compartment is ideal for packing a plastic food storage container. Then pack the rest of your lunch on the separate upper section. Top quality construction with additional convenience features such as a double-zipper wrap-around closure and handy handle. 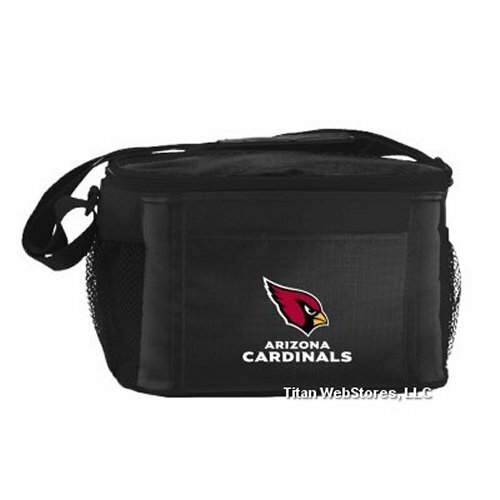 This Arizona State lunch bag also works great as a ASU cosmetic or travel accessories bag! Total functional area dimensions:8.25" long x 6.5" deep x 8.5" tall -- Compact and well made! Lower compartment interior: 8.25" long x 6.25" deep x 3" tall Top triangular compartment interior: 8.25" long x 6.25" deep x 5.5" tall at highest point. 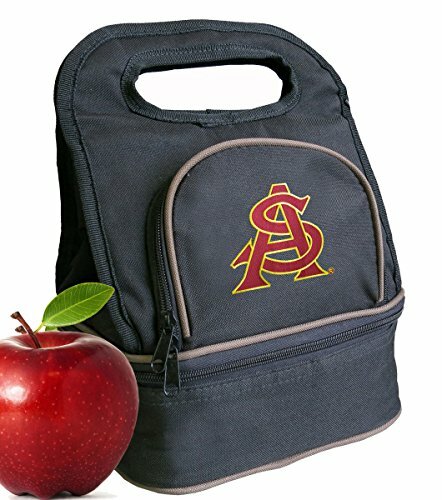 OFFICIAL Arizona State Lunch Bags & ASU Lunch Coolers - Up to 12% Returned To Support Arizona State Programs! 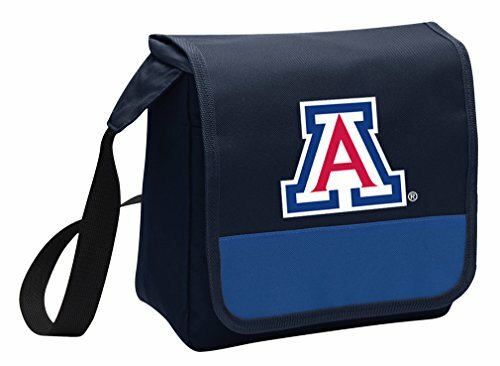 A Broad Bay NCAA Arizona Wildcats Lunch Bag Is A Top Unique University of Arizona Gift for Him or Her! 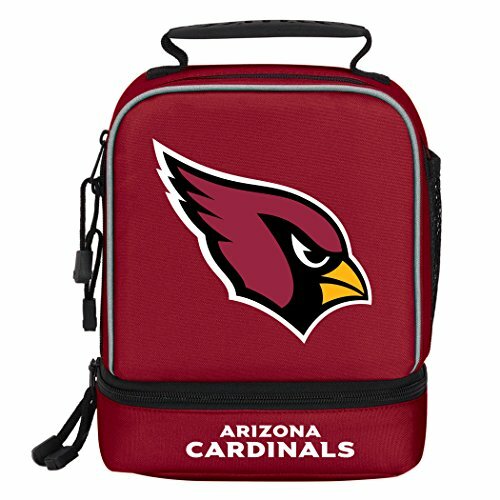 This Broad Bay deluxe University of Arizona lunch bag is the perfect size for lunch or travel. This insulated, soft-style Arizona Wildcats lunch tote contains a roomy main compartment and a useful zippered front accessory pocket. Well-made with additional great features such as a double-zipper wrap-around closure, and an adjustable shoulder strap. This University of Arizona lunch bag also works great as a Arizona Wildcats cosmetic bag for her or a Arizona Wildcats travel bag! 8.5 x 8 x 6.5 SIX PACK SIZED - Compact and well made! **Official Arizona Wildcats Lunch Bags & Arizona Wildcats Lunchboxes- Up to 12% Returned to Support University of Arizona Programs! Broad Bay University of Arizona Lunch Bag Arizona Wildcats Lunch Box - 2 Sections! 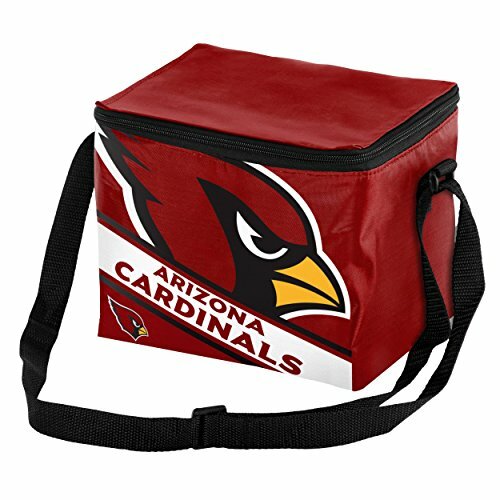 The Broad Bay double decker Official Arizona Wildcats lunch box cooler bag is just the right size for lunch or travel. This well-insulated Official University of Arizona Logo lunch bag contains 2 separate fully insulated and zippered main compartments and a zippered front pocket that's perfect for utensils, condiments, or lunch money. The lower compartment is ideal for packing a plastic food storage container. Then pack the rest of your lunch on the separate upper section. Top quality construction with additional convenience features such as a double-zipper wrap-around closure and handy handle. This University of Arizona lunch bag also works great as a Arizona Wildcats cosmetic or travel accessories bag! Total functional area dimensions:8.25" long x 6.5" deep x 8.5" tall -- Compact and well made! Lower compartment interior: 8.25" long x 6.25" deep x 3" tall Top triangular compartment interior: 8.25" long x 6.25" deep x 5.5" tall at highest point. OFFICIAL University of Arizona Lunch Bags & Arizona Wildcats Lunch Coolers - Up to 12% Returned To Support University of Arizona Programs! 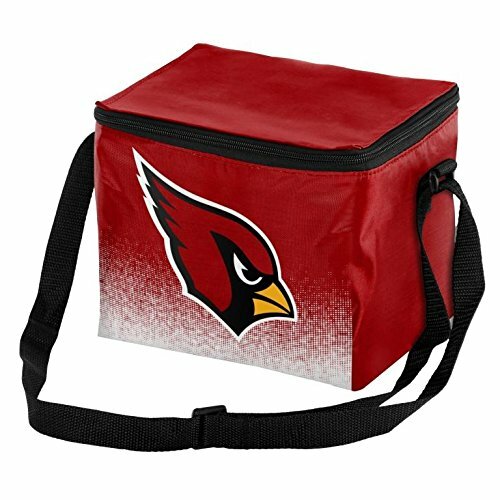 Show your Team Colors with the Velcro lunch bag cooler from Forever Collectibles. 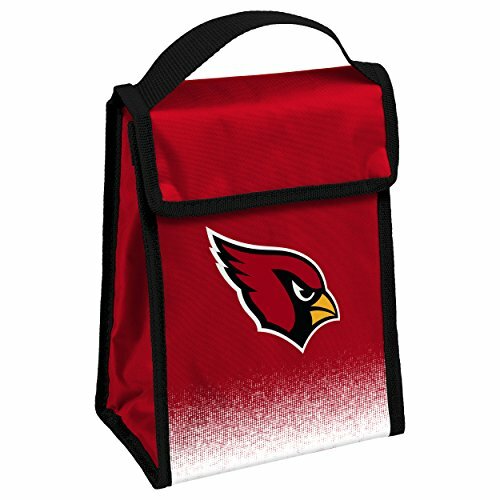 Officially licensed with your favorite team's logos and colors, this lunch bag will Leave no doubt as to which team you're rooting for at lunchtime, break time or any time. Built for work, school or play, this bag is designed to keep your food cool and fresh, without taking up as much space as traditional lunchboxes and coolers. Designed with top quality and versatility, the Forever Collectibles Velcro cooler is the perfect companion for sports fans on the go. The durable, lightweight materials are designed for daily use and can hold up in even the toughest environments - from construction sites to office Refrigerators and school lockers. This insulated soft-sided lunch sack is large enough to accommodate the biggest appetites yet folds flat when empty so it's easy to carry. The high quality Velcro flap seals in the cold to keep your sandwiches, fruit, snacks and beverages cool all day long. Show your allegiance to your favorite NFL, MLB, NBA, NHL, MLS or NCAA team with the Forever Collectibles Velcro cooler. If you would like more options, Forever Collectibles also offers officially licensed 6 and 12 pack coolers. 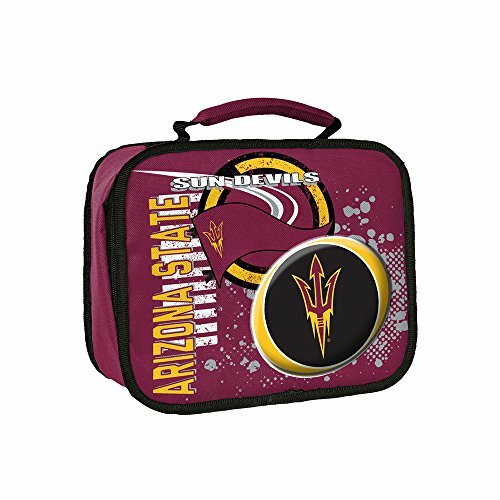 Broad Bay ASU Lunch Bag ASU Sun Devils Lunch Box - 2 Sections! 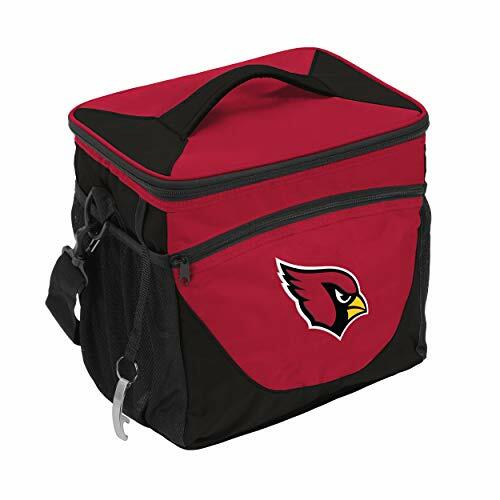 The Broad Bay double decker Official ASU Sun Devils lunch box cooler bag is just the right size for lunch or travel. This well-insulated Official ASU Logo lunch bag contains 2 separate fully insulated and zippered main compartments and a zippered front pocket that's perfect for utensils, condiments, or lunch money. The lower compartment is ideal for packing a plastic food storage container. Then pack the rest of your lunch on the separate upper section. Top quality construction with additional convenience features such as a double-zipper wrap-around closure and handy handle. This ASU lunch bag also works great as a ASU Sun Devils cosmetic or travel accessories bag! Total functional area dimensions:8.25" long x 6.5" deep x 8.5" tall -- Compact and well made! Lower compartment interior: 8.25" long x 6.25" deep x 3" tall Top triangular compartment interior: 8.25" long x 6.25" deep x 5.5" tall at highest point. 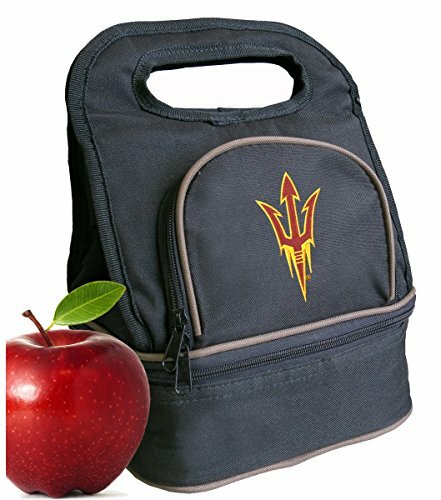 OFFICIAL ASU Lunch Bags & ASU Sun Devils Lunch Coolers - Up to 12% Returned To Support ASU Programs! 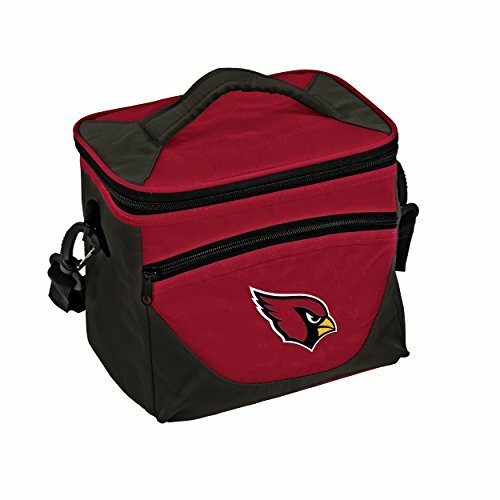 Compare prices on Arizona Lunch Box at LiveSaler.com – use promo codes and coupons for best offers and deals. We work hard to get you amazing deals and collect all avail hot offers online and represent it in one place for the customers. Now our visitors can leverage benefits of big brands and heavy discounts available for that day and for famous brands. We try to makes comparison shopping easy with Product Reviews, Merchant Ratings, Deal Alerts & Coupons. Find Deals, Compare Prices, Read Reviews & Save Money.